Monarch Butterflies are of great concern since their numbers are dropping due to lack of habitat and disturbance within their wintering sites in Mexico. Monarchs need our protection, and we are taking action. For the last few years, we have witnessed an amazing phenomenon here at the Ney Nature Center. 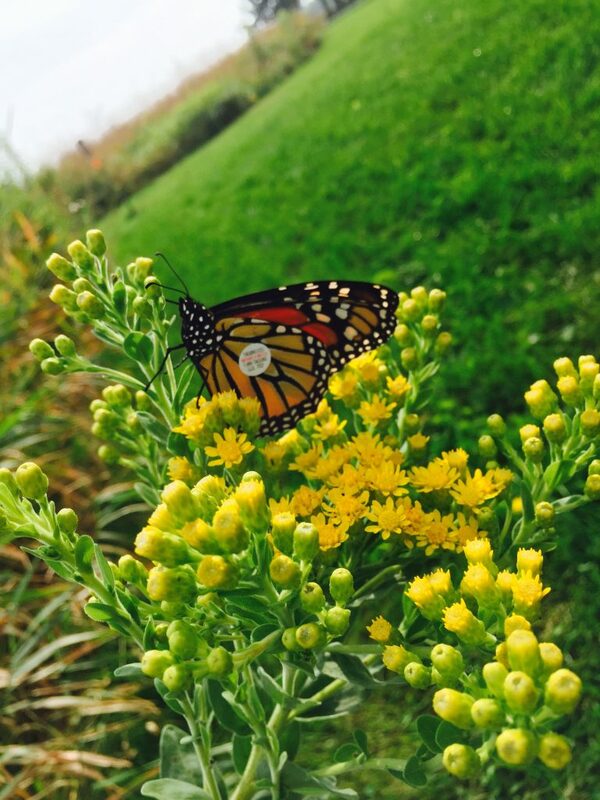 About mid-September in the southwest corner of our restored prairie, the monarchs gather and roost. A “roost” is a cluster of butterflies also known as a bivouac. Since monarchs only travel by day, in the evenings they find places to rest and feed before continuing to make their way south. Monarchs are solitary travelers as they migrate, so why they gather into roosting sites at night is unknown to scientists. Most roosts last for a night or two, however, citizen scientists who have been lucky enough to find a roost have noted a few that have lasted up to two weeks. In 2015, we began a tagging program, and we need your help. As the monarchs come in to roost, we will be collecting data as well as tagging them. 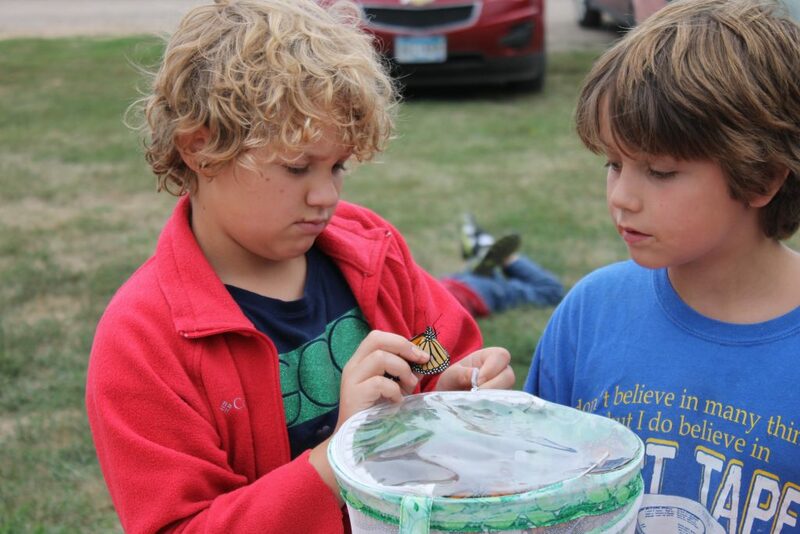 Starting Monday, August 28th we will be catching and tagging monarchs we find in the prairie. If you are interested in joining our team and working with the Ney Nature Center staff to collect data, tag monarchs, and observe them as they roost, please stop out during one of our tagging mornings from 7-11 am.